This vase was designed by Vicke Lindstrand for Kosta in 1962. 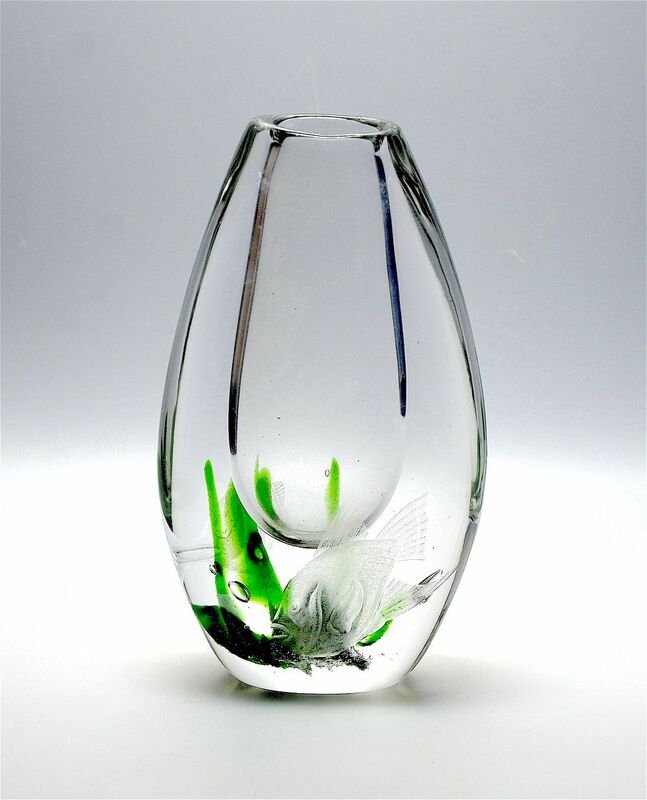 It is in heavy clear glass with internal green seaweed decoration and bubbles and with a fish that has been externally & deeply engraved on both sides. Signed "Kosta G350 V Lindstrand" on the underside of the base.